In order to cite correctly it is useful to use a style manual for your chosen style that demonstrates the standardised way of recording the elements of a book, journal article, conference paper, report etc. Your school or faculty will probably have a preferred style. Some style manuals are listed on this page. If you are required to use another referencing style, check the Library collection or the internet for the corresponding style manual. Style Manual for Authors, Editors and Printers by Snooks and Co. The sixth edition of the Style Manual provides guidance and detailed advice on publishing in both print and electronic formats. It represents a substantial revision in response to the rapid and extensive changes that have occurred in publishing since the fifth edition was produced in 1994. The new Style Manual continues to provide detailed information and recommendations on the best practices in design, editing, production and writing. This edition builds on the Style Manual's reputation as an outstanding Australian reference standard for all those who understand the value of effective communication. The sixteenth edition offers expanded information on producing electronic publications, including web-based content and ebooks. An updated appendix on production and digital technology demystifies the process of electronic workflow and offers a primer on the use of XML markup, and a revised glossary includes a host of terms associated with electronic as well as print publishing. The Chicago system of documentation has been streamlined and adapted for a variety of online and digital sources. Figures and tables are updated throughout the book—including a return to the Manual’s popular hyphenation table and new, comprehensive listings of Unicode numbers for special characters. The Oxford Guide to Style for Writers and Editors is based on the house style of Oxford University Press, this book replaces two highly successful titles, Hart's Rules (OUP) and the Oxford Dictionary for Writers and Editors. It combines, updates and expands these two earlier titles to provide a fully comprehensive guide to the subject of editorial practice. With a new grammar and usage section, alphabetic entries, and full cross-references, it is both authoritative and easy to use. A valuable guide for all those who use words professionally or in their studies - from novice proofreaders and trainee editorial staff to journalists, authors, and thesis or dissertation writers - this book aims to provide a one- stop reference with comprehensive and helpful advice. ​AGLC3 is the predominant citation style used for legal materials in Australia. The Australian Guide to Legal Citation sets out clear rules and examples for the citation of cases, legislation, journal articles, books and other sources including government documents. The third edition features expanded rules on international legal materials and materials from overseas domestic jurisdictions including Canada, China, France, Germany, New Zealand and the United States. 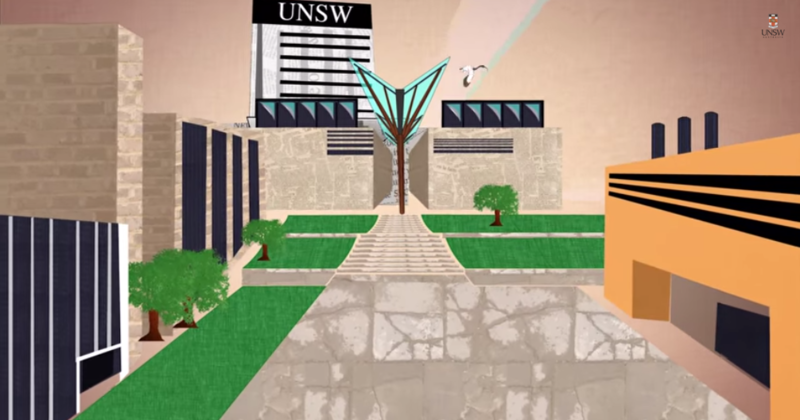 AGLC4 is the predominant citation style used for legal materials in Australia. The Australian Guide to Legal Citation sets out clear rules and examples for the citation of cases, legislation, journal articles, books and other sources including government documents. The fourth edition refines the enduring foundations laid down by the previous editions of the AGLC and builds upon the existing rules to ensure the ongoing relevance of the AGLC. 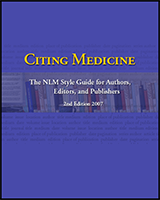 Citing Medicine: The NLM Style Guide for Authors, Editors, and Publishers. 2nd Ed. Vancouver is a numbered referencing style commonly used in medicine and science. It follows rules established by the International committee of Medical Journal Editors, now maintained by the U.S. National Library of Medicine.